Do you need to hire a political consultant? Your name’s on the ballot. Election Day is looming on the political horizon. Friends and neighbors are asking if you can give them signs for their yards. There’s too much to do and not enough hours in the day. There are too many questions for which you don’t have the answers. 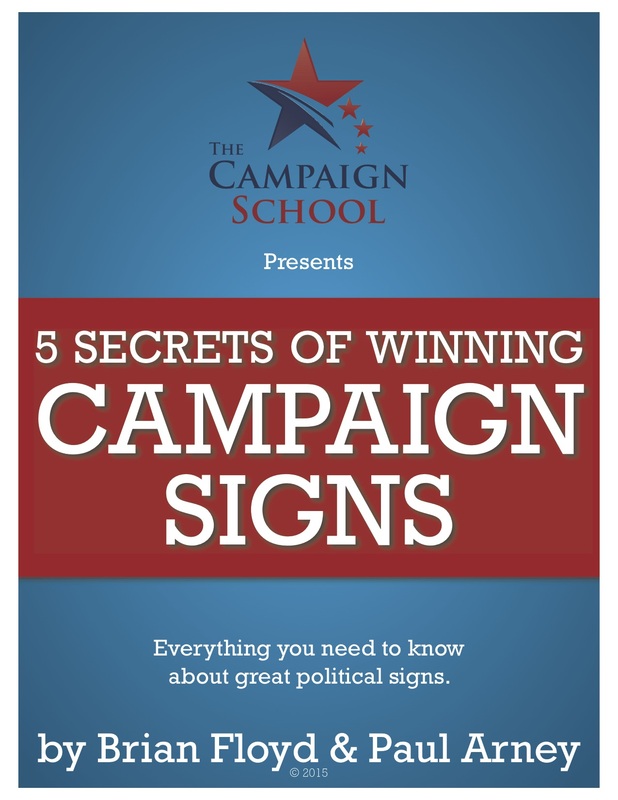 You’re wondering whether or not you should hire a political consultant to guide your campaign. The easy answer for me to give here is “Yes.” After all, my business is campaign consulting and this website isn’t paying for its own hosting. But let’s take my self-interest out of the equation, then ask the question. Should you hire a political consultant for your campaign? What does it depend on exactly? Three things. 1. The size of the race. 2. How much money you can raise. 3. If you really want to win. How big is your race? If you are running for mayor or city council of a large city, a school board seat in a bit school district, a position on a county board, for a countywide office, for a seat in the state legislature, or the House of Representatives you definitely need to hire a consultant. In such races it’s too large of an endeavor for you to be doing on your own and you need professional advice and assistance. If you’re running for mayor, city council, school board, water board, or whatever board in smaller areas you most likely do need a consultant to provide your campaign with advice and strategy, but that decision will be dependent on the amount of money you can fundraise. The amount of money you are able to raise and spend will be a major determination in whether you should hire a consultant or not. If you can fundraise enough to hire a consultant and effectively communicate with voters, then having a consultant would be a great asset for your campaign. A good consultant will be able to help you refine your message, prep you for speeches and debates, target the likely voters of your district, run reliable polls, design and send out direct mail, and perform many other tasks with their eyes closed that you will spend days if not weeks trying to figure out. However, you should never ever ever sacrifice your ability to communicate with the voters by spending money on a consultant. If you can’t afford to send out mail or put up signs, paying a consultant is an absolute waste of money. With that said, should you be able to raise enough money, then hiring a consultant is definitely something for you to consider. How much money is enough to hire a consultant? This will vary race to race. The budget for a small city council race like in my hometown of Norco where only a couple thousand people typically vote in City elections is going to be a lot smaller than someone running for a seat on the New York City Council. For the bigger races it’s typically a no-brainer to hire a professional consultant. On the smaller one’s the money really is the biggest factor you need to consider. If you can raise at least $25,000 for your election you probably can afford a consultant. You will need to find one who will work for a reasonable fee or solely on commissions for materials created for your campaign. If you cannot raise $25,000 you should not be hiring a consultant. You simply can’t afford it. Don’t even think about going into debt to pay one. Too many good people have made that mistake and are still paying for it. About ten years back, a candidate I knew but did not work for in any capacity, took out a second mortgage on his house to run for the California State Assembly. He did this about a year before the election. He hired a consulting firm and put them on a monthly retainer. Months later the consultant opted to not do the race. The consultant kept the money and the candidate didn’t even wind up filing to run in the election. But the candidate still had to pay off the second mortgage he never should have taken out in the first place. The consulting firm that did this was unscrupulous and disgusting. Unfortunately, I’ve come across more political consultants solely out to line their pockets regardless of whether their clients go into personal debt let alone even win their races. If you have to borrow the money to hire a consultant, you should not be hiring a consultant. In fact, if at all possible, never go into debt to fund any aspect of your campaign. If you’re thinking that’s how it’s done you should not be running for office. Do you really want to win your election? Some people run to compete and some people run to win. The only reason to run for elected office is to win!!! If you’re running for office for any other reason than doing everything you can within the legal, ethical, and moral limits to win then you shouldn’t be running. If you’re running to make sure an issue important to you gets attention, you shouldn’t be running. If you’re running to only be a thorn in another candidate’s side, you shouldn’t be running. If you’re running because you think it will help build your name identification for the future then you, shouldn’t be running. Now if any of those three reasons describe your motives for seeking office, please do yourself a favor and don’t run. There are other ways for you to be involved in politics. You can volunteer on someone else’s campaign or start a blog. You should not be a candidate for office if you’re not in it to win it. With that out of the way, if you are running with the goal of winning then you need to raise the money to hire a consultant. Who you hire is up to you, but take your time, ask serious questions, and don’t become overly awed by their presentation. Ask them about their overall track record and in races similar to yours. Most people don’t ask this and then find themselves losing a race because they hired a consultant that hasn’t performed well in races similar to theirs ever before. Ask to see samples of the work they’ve done before. Sample mailers and video that they’ve produced for other clients will show you what you can likely expect from them. Ask them for a list of their references and referrals. Get the numbers and talk to at least five of them to find out their experiences with the consultant. Even talking to one or two who didn’t win will tell you a lot about what kind of a consultant you are potentially hiring. And remember, you will be dealing with whatever consultant you hire a lot during your campaign. I talk and email with my clients numerous times every day. How you personally interact with a consultant is important. You probably don’t want to be working with a consultant you can’t seem to get along with. The most charming consultants are not always the best at the job. Con artists wouldn’t be able to get anyones money if they came off sleazy — they seem to be nice, personable and trustworthy. The less personable consultants may be off-putting to some degree, but they may have what your campaign needs to win the election. That’s fine. I do campaigns to win them, which means I sometimes need to charge into areas where angels fear to tread. Candidates that have issues with that are not committed to winning in my experience and I don’t need them on my client roster. If you’re reading this, you hopefully are in it to win it and want a consultant that will help you accomplish this goal. Remember, a consultant works for you and they have one job — help you win your election. So if your race is big enough, you can raise enough money, and you are serious about winning, then I do recommend you hire a consultant. If you can’t answer any one of those three questions in a satisfactory way, maybe this isn’t the time to run for office. But don’t worry, the wonderful thing about democracy is there’s always another election on the horizon. Between now and then you can spend your time and your energy putting things together so you are ready to run and win a successful campaign for public office. Have your own questions or cautionary tales about consultants? Let us know in the comments below. We’d love to hear them.